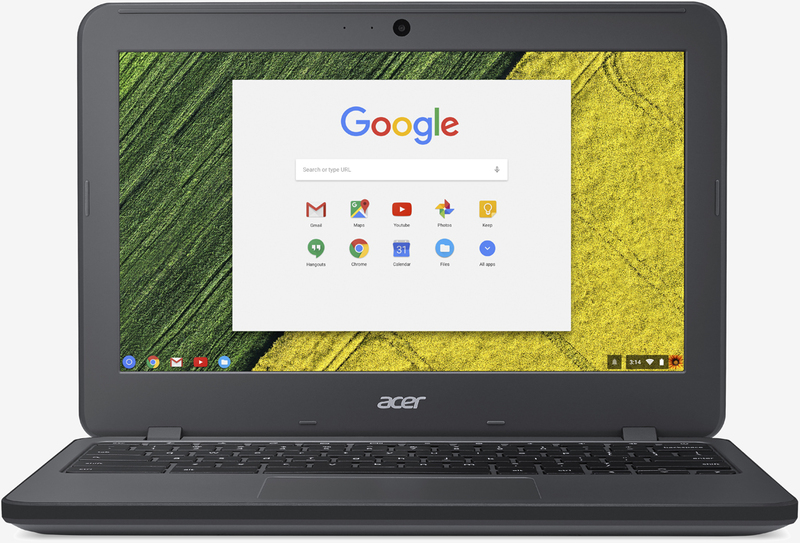 Acer at CES 2017 today announced a new Chromebook designed specifically for those in the education sector – a nice way of saying that it’s durable enough to put up with the abuse it’ll receive from students in and out of the classroom. The Acer Chromebook 11 N7 can withstand up to 132 pounds of downward force on the top cover and drops from heights of up to four feet and features reinforced hinges that afford greater resistance to twisting and stress. Acer says it meets the U.S. MIL-STD 810G military standard for ruggedness and durability. There’s also a spill-resistant keyboard that uses a gutter system capable of draining up to 11 ounces of water away from internal components. Acer has even designed the keyboard in a way that makes it difficult for students to remove the key caps (there’s always that one bad kid in each class, right?). The machine utilizes an 11.6-inch LCD display with a resolution of 1,366 x 768 driven by a passively-cooled dual-core Intel Celeron N3060 CPU clocked at 1.6GHz (boost up to 2.48GHz), Intel HD Graphics, 4GB of DDR3 memory and either 16GB or 32GB of eMMC storage. Systems can be configured with or without a touchscreen display. As for connectivity, the N7 affords dual-band 802.11 a/b/g/n/ac Wi-Fi, Bluetooth 4.0, two USB 3.0 ports, an SD card reader, an HDMI port and a 3.5mm combination audio jack. The 4,090mAh battery is rated for up to 12 hours of use between charges. The Acer Chromebook 11 N7 will be available this month starting at $229.99.